Welcome to Head Yo. I am Josh Young, and I run and manage this website. Head Yo covers detailed reviews and helps you select the right pair from the ones available on the market. If you are planning to purchase a new pair and are looking for quality information and recommendations, you have come to the right place. You will find more than 60 reviews from over 20 different brands. I use headphones for various purposes like traveling, working out, working in my office or watching my favorite movie, and they work perfect for me. I love music of different genres and if the pair I am using delivers pristine quality of sound, it makes my day. Before we move forward, let me share the top 3 sets which performed really well when I tested them. Each of these sets deserve the title of being the best. 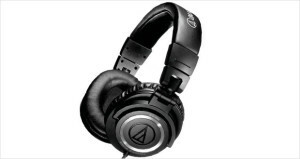 Audio-Technica’s ATH-M50 comes first in my list. Why? This pair is especially designed for professional monitoring & mixing as well as provide maximum comfort. Let me talk straight about the sound – only one word can describe it “accurately”. It has crystal clear highs with no disturbance, solid mids with the fullness towards acoustics and mind boggling bass that will definitely blow your mind away. The passive mode does this set full justice by helping to reduce external noise while providing you with great sound quality. The acoustic seal leaves any unwanted sound out. Coming to the build quality, these foldable headphones are made with a very high grade plastic and have extremely comfortable earcups. The cable comes in two modes: coiled and straight. At a given price, this choice is damn cheap and their performance is exceptional. With all the given features, amazing sound quality, and built for maximum durability, this set tops the chart. For a frequent flyer, irritated by constant plane’s engine noise; Bose QuietComfort 25 is a perfect pair. It is undoubtedly the most sought after pair of ANC headphones by flyers across the world. The noise reduction is supreme even when no music is being played. They also come with a battery life of approximately 35 hours which is sufficient for any flight. 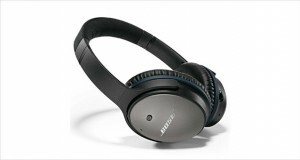 Bose QC 25 is a very lightweight pair and comfortable to wear for an extended period of time. Sound quality is decent and bass is a little on the heavier side. Build wise, these are a somewhat delicate pair, in my opinion. They are worth the money for people who fly a lot. The superb sound cancellation and great comfort secure their second place spot on my list. 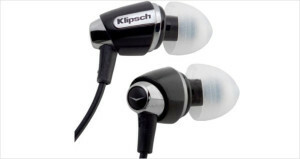 Klipsch IMAGE S4 beats its many high priced competitors when it comes to sound, comfort and noise reduction. With a price around $100, I found this pair incredible. Walking in New York wearing these headphones, you won’t hear too much of the great city’s street life. With balanced highs, resonant mids and thumping bass, Klipsch S4 excels in the sound department. Acoustic seal provided by oval shaped ear tips gives long term wearing comfort and excellent sound isolation. The impeccable sound, great build, comfortable wear and nice noise isolation make these pair extremely popular. Their overall performance and the price bring them at third place in my list. Best for Kids: Check my latest guide on the best headphones for kids. It covers top 6 choices and also includes some for kids with autism. Rating Process: How do I rate Headphones? Category: For your convenience, the noise reduction headphones are divided among two main categories which are Over Ear and In Ear. For the ease of use, these are further divided in Wireless and With Mic. These broad categories will help you choose the pair that meets your needs. For your interest, I have written a guide on different types of headphones which will help you understand these gadgets better. You can check out the In Ear guide here and the Over Ear guide here. If you have a price bucket in your mind and you do not want to spend more than a certain amount, do not worry. You can filter out products by the price range. Sound Quality: If you are planning to shell out some bucks for a set, any pair would be worthless if it does not deliver great sound. That is why the sound quality plays a major role in determining which pair are at the top. Highs: If you like classical, you may need a set that delivers amazing high pitches. Piccolo, violins, flutes etc. are the ones which fall under high pitch instruments. Listening to Maurice Ravel, Mozart or Beethoven will be at a very different level with the right pair. Mids: If the vocals are not harsh and you feel that you are in front of the singer and listening to him/her live, the mids are great. Lows: This factor is a very important one for all the bass-heads. Headphones should deliver thumping bass that should have depth. Noise Cancellation: Every pair is tested in various environments like walking in streets, sitting in a car, simulating airplane engine noise etc., and then rated accordingly. If this feature is below my expectations, I have not even bothered to write down the review. Lazy me?. Overall Performance: The overall performance of each set keeping the highs, mids, lows and sound cancellation in mind and the balance in the output. The aforementioned parameters are rated individually and the overall sound quality rating is calculated. Build Quality: Each set is rated on its build quality. The overall design, what features are provided, accessories, battery life (if applicable), quality of the microphone (if applicable), quality of material used, quality of the wire, durability, portability and compatibility with the device are weighed while testing each pair. Comfort: Each pair are tested for their comfort, quality of sleeves or cushions, pressure on the ears while wearing for extended periods of time, heating of ears, balance on the head (in case of over ears) and popping out of ears (in case of in ears). Price: Price played a major role while calculating the overall rating of the product. Some were very cheap but the sound they delivered was astonishing. The premium and high-end items were excellent, but weighing the sound quality and the price of these sets against each other, I’ve put them below in my ranking. If I am going to spend $300 or more on a pair, I will definitely look for perfect output, excellent comfort and longevity. Rating each product was a cumbersome and tedious task, but it had to be done in order to provide you with detailed insights. I have spent many days working on this site and I hope you will find the reviews useful. How to choose the Best Headphones? Below are some tips that will help you choose the brand and style that you are looking for and you will have an idea of what all things to consider while buying them. Close Your Requirements: Not every pair is for everyone. If you are a bass-head, you may be looking for a pair that is bass heavy rather than a balanced pair. Fly too frequently and not an audiophile, you may opt for good sound cancellation or isolation rather than excellent music and average sound reduction. Choose the type of Noise Reduction: You have two options to choose from – Active Noise Cancellation or Sound Isolation. For any confusion, you can refer to my guide on “how do noise reduction headphones work”, to get more clarity. Decide on Your Budget: First and foremost thing, decide on the amount you want to spend. Go for deals, discounts or some festive season shopping for huge price drops. Read Reviews: Read what other people are saying. I always find Amazon reviews very helpful. Try them out: Borrow a pair from a friend or visit to the nearest store and try couple of songs. Take into consideration their comfort, sound reduction etc. Value for Money: Try to avoid ones which come with a short limited warranty. You may find some great products with 2-year limited warranty or lifetime limited warranty. In conclusion, if you are an audiophile who loves his music without interruption, a frequent traveler who hates engine noise and neighbor passenger stories, a professional who cannot concentrate on work due to incoming noises or even a regular guy or a girl who occasionally listens to music, you must find a great pair and invest in it. It is not an expense; it’s an investment for you. With every passing day, new products keep coming and filling music lovers with excitement by their cutting edge features, designs and superb music output. Every time there is a new pair on the market making waves, the comparison guide will be updated to include the review and complete details of the product. You will have every reason to come back to this website to see how these products are competing with each other. Please feel free to drop a comment and share your opinion, as I would love to hear from you all.